Our Manitoba Standing Desk is a great way to improve circulation by not sitting in a chair all day. This desk comes in a standard width of 48 inches but you have the option to make it 60 inches if that is what suites you best. The middle drawer is a pencil drawer at first but then when the front is flipped down it becomes a keyboard drawer. If you would like to customize this desk further please call one of our furniture specialists today to create the perfect desk for your office. 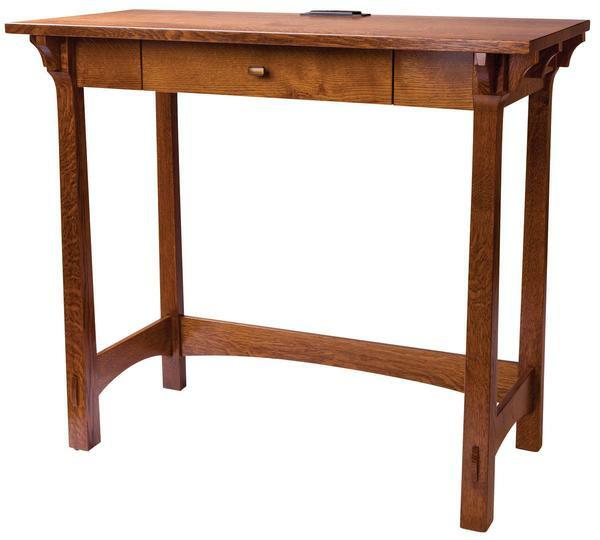 Overall Width: 48" or 60"
Bottom of Drawer to Top of Desk: 5"
Base Width From Outside of Legs: 43" or 55"